The temporary restraining order halting one of President Trump’s most controversial actions, an executive order suspending the entry of nationals from seven countries and pausing refugee resettlement, has strong legal parallels to the temporary injunction ordered by a federal judge in Texas that single-handedly blocked a key Obama administration immigration initiative two years earlier. That February 2015 nationwide injunction in a legal challenge mounted by 26 Republican governors permanently stalled what would have been the keystone of President Obama’s immigration legacy: A program granting relief from deportation and work authorization to several million unauthorized immigrants. Almost two years and one change in administration later, the Texas court’s precedent was cited to affirm the temporary block a district judge in Seattle placed on a Trump travel ban that had caused chaos at U.S. airports, resulted in the removal of some arriving nonimmigrants and the revocation of more than 60,000 visas. The nationwide application of rulings by a single district court judge has been affirmed by appellate panels in both cases. On February 9, 2017, a three-judge panel of the 9th U.S. Circuit Court of Appeals unanimously affirmed the district court’s temporary restraining order on the travel ban. The 9th Circuit agreed to stay further action at the request of the Trump administration, which has indicated it will issue a revised executive order in the coming days. Two years earlier, the 5th U.S. Circuit Court of Appeals affirmed the preliminary injunction issued by U.S. District Judge Andrew S. Hanen staying the creation of the Deferred Action for Parents of Americans and Lawful Permanent Residents (DAPA) program and expansion of the existing Deferred Action for Childhood Arrivals (DACA) program. In the Texas v. United States challenge to the Obama executive order, the 5th Circuit found that Hanen’s nationwide injunction was appropriate because a fragmented immigration policy that applied in some states but not others would run against constitutional and statutory mandates for uniform immigration laws and policies. Two years later, the 9th Circuit relied upon the 5th Circuit findings in Texas in support of its conclusion that it would not limit the geographic scope of the order issued by U.S. District Judge James Robart blocking the Trump executive order. Despite their similar reversals in court, the two executive actions addressed very different aspects of the U.S. immigration system: Obama tried to use his executive authority to exempt certain noncitizens already in the United States from immigration enforcement and make them eligible for some immigration benefits. Meanwhile, Trump has attempted to exclude certain categories of noncitizens and refugees from entering the United States, citing national security concerns. The sharp and swift reaction by the judiciary to the unilateral actions taken by the two presidents has brought new focus on the limits of executive authority in the immigration arena. Though neither case has yet to be decided on the merits, the actions in the 5th and 9th Circuits suggest the courts are unwilling to concede the president’s authority in immigration as unlimited or immune from review. On January 27, Trump signed an executive order that suspended entry into the United States of citizens of Iran, Iraq, Libya, Somalia, Sudan, Syria, and Yemen for 90 days; paused the U.S. refugee resettlement program for 120 days; and indefinitely halted entries of Syrian refugees. The executive order also mandates that once the refugee program is reinstated, it should prioritize claims of religious-based persecution by individuals who are religious minorities in their country of nationality. The order was immediately implemented after signing, causing chaos at U.S. airports as planes landed with travelers whose authorization to enter the United States expired mid-flight. The order sparked widespread demonstrations, as well as quick and multiple legal challenges. Several early rulings in courts across the United States enjoined various parts of the executive order or applied only to people in particular jurisdictions (see Box 1). The broadest restraining order came in Washington State v. Trump, issued by Robart on February 3. The state of Washington challenged the executive order on a number of constitutional and statutory grounds, and argued it had standing to bring the case. Washington Attorney General Bob Ferguson argued that the order violated both the equal protection and establishment clauses of the Constitution by discriminating on the basis of religion and national origin. The lawsuit contends that the executive order’s preference for refugee claims made by religious minorities and ban of nationals from Muslim-majority countries, taken together with Trump statements both before and after the election, show a clear motivation to discriminate against Muslims. The Trump administration argued the President has authority to execute the order both under delegations of Congress and the Constitution, and that his authority is unreviewable. It also challenged Washington’s standing to bring claims on behalf of its residents as well as noncitizens not present in the United States. Further, it disputed any animus toward a religion in the executive order because the seven countries identified were also the countries selected for increased immigration scrutiny during the Obama administration. The court issued a nationwide temporary restraining order preventing the implementation of all provisions related to the travel ban and suspension of the resettlement program. The administration immediately appealed to the 9th Circuit, seeking an emergency stay of the Robart order. 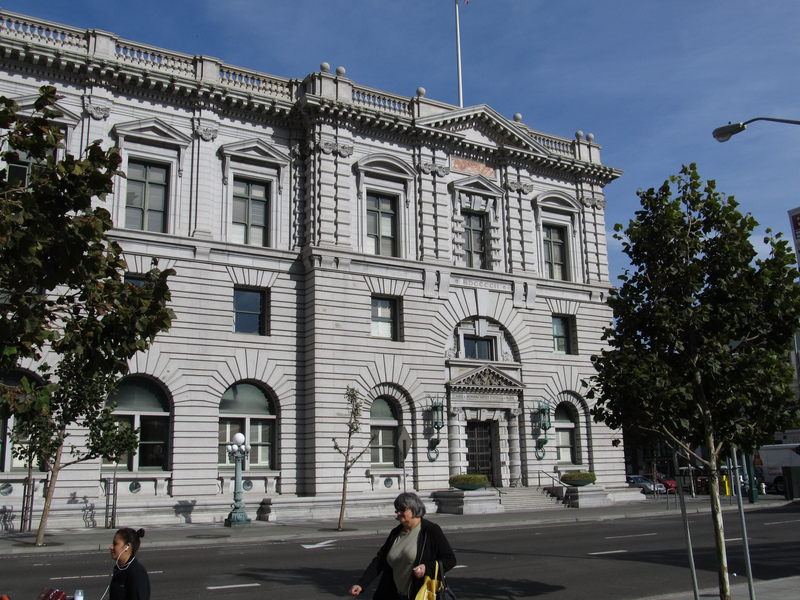 On February 9, the 9th Circuit panel upheld the district court’s temporary restraining order, finding that the government failed to show it was likely to succeed on appeal and that there would be irreparable injury if the executive order were not reinstated. While the court initially issued a temporary restraining order barring the administration from removing or detaining individuals affected by the executive order, on February 3 it declined to renew the its original order. On January 28 the court granted a temporary restraining order stopping the government from removing individuals legally authorized to enter the country, including refugees or nationals of the seven named countries. The next case hearing is scheduled for February 21. The court on February 13 granted a preliminary injunction barring the administration from implementing the seven-country ban for residents of Virginia. On February 7, the International Refugee Assistance Project and HIAS Inc. filed a complaint requesting an injunction against the executive order. The case is scheduled for a hearing March 28. The court on February 2 enjoined the administration from enforcing the ban on entry of legal permanent residents. The parties continue to brief the court on whether the court should issue a permanent injunction. Most strikingly, the three-judge panel rejected the position that the president’s action is unreviewable. Among the cases on which the court relied was Boumediene v. Bush, a post-9/11 case involving a Guantánamo Bay prisoner in which the court rejected the idea that Congress or the executive branch could escape constitutional review even with respect to enemy combatants held outside U.S. territorial boundaries. Drawing upon Boumediene, the 9th Circuit concluded in the travel ban challenge that it is “beyond question” that the judiciary has the authority to review constitutional challenges to the executive order. The court also found that the Constitution’s due-process protections apply to all individuals, including noncitizens, authorized or not, and extend to certain individuals attempting to re-enter the United States after traveling abroad. The court concluded the executive order fails to provide the protections of due process, including notice and a hearing prior to restricting an individual’s ability to travel. The quick response of the judiciary highlights the importance of context. After the 9/11 terrorist attacks, the Bush administration implemented the National Security Entry-Exit Registration System (NSEERS), a controversial program that subjected nationals of designated Muslim-majority countries to enhanced screening and interviews. In legal challenges to the program, U.S. circuit courts deferred to the executive, even concluding that they lacked jurisdiction to hear such cases. Without the context of a recent terrorist attack or similar threat, courts today have shown a willingness to second-guess the claims of the administration. The legal challenge to the travel ban has, coincidently, wrestled with many of the same issues that arose in the earlier legal challenge to the Obama executive action. Both the Washington State and Texas cases examine when states have the legal standing to challenge a federal action. In order to bring a lawsuit, the party must be able to show that it has capacity and sufficient harm in connection to the challenged action, i.e. standing. In Texas, the court agreed with the state of Texas (joined in its challenge by 25 other states) that the DAPA and expanded DACA programs would create a new class of individuals eligible to apply for state-subsidized driver’s licenses, thus imposing additional processing and issuance costs on the state. In Washington State, the 9th Circuit found that Washington had standing under the “third-party standing” doctrine as a proponent of the rights of its state universities. Because the executive order prevents people from entering state universities as faculty, inhibits them from performing research, and prevents them from returning if they travel abroad, the court ruled that the state had standing to bring the case. As in Texas v. United States, should the administration choose to pursue Washington State, it could ultimately end up at the Supreme Court. In Texas, it took a year and a half until the high court ruled on the case. On a tie vote, the Supreme Court affirmed the 5th Circuit’s decision, effectively upholding the injunction against the Obama initiatives. From there the case returned to Hanen’s court in Brownsville for proceedings on the merits. In November 2016, the Obama administration and Texas filed a joint motion requesting that, in light of the upcoming change in administration, the court stay proceedings until at least one month after the new administration takes office. Hanen has yet to rule on that request. A similar timetable could unfold in Washington State. Prior to the court’s pause of proceedings while the Trump administration works on a revised executive order, a 9th Circuit judge had requested that a vote be taken on whether or not the panel’s order should be reconsidered by the full Circuit. If that is done and should the ruling stand as is, the Trump administration can appeal to the Supreme Court. There are some indications that the administration is uninterested in doing so. At the same time, the federal district court in Seattle has decided to construe the temporary restraining order as a preliminary injunction, which effectively extends it indefinitely. As in Texas, an appeal of the preliminary injunction may go to the Supreme Court. Adjudication of the merits in either case could also wind its way through to the Supreme Court. However, decisions on the merits in Texas and Washington State could be mooted if the Trump administration rescinds either its executive order or the earlier Obama one. Allowing either case to go forward to the Supreme Court on the merits would finally permit a decisive ruling on the many critical and contentious legal issues they present. Trump Signs Three Executive Orders on Immigration. Within one week of taking office, President Trump signed three executive orders related to immigration, and has since signaled that there are more to come. On January 25, the President signed Executive Order 13768, “Enhancing Public Safety in the Interior of the United States,” which seeks to increase enforcement of U.S. immigration laws by broadening the priorities for enforcement and removal, adding 10,000 U.S. Immigration and Customs Enforcement (ICE) officers, and working more closely with local law enforcement, among other initiatives. The same day, Trump signed Executive Order 13767, “Border Security and Immigration Enforcement Improvements,” which orders construction of a physical wall along the southern border, increased detention of unauthorized immigrants prior to removal, and the hiring of more Border Patrol agents. Two days later, he signed Executive Order 13769, “Protecting the Nation From Foreign Terrorist Entry Into the United States,” which bans the entry of nationals of seven designated countries for 90 days, indefinitely halts the entry of Syrian refugees, and suspends the U.S. refugee resettlement program for 120 days, in a stated effort to ensure that admissions are properly vetted. The administration has also indicated that an order revising the legally contested travel ban and another on the admissions of foreign workers are yet to come. ICE Launches Series of Targeted Enforcement Operations. In early February, ICE conducted enforcement actions in at least five states, resulting in the arrests of more than 680 foreign nationals. While the Department of Homeland Security (DHS) said in a press release that the operations were consistent with longstanding ICE practice, some of the arrests and Trump statements seem to signal a change in policy. Immigrant-rights advocates expressed strong concern that a DACA recipient was among those apprehended. In addition, Trump characterized the operations as a “crackdown,” keeping with his campaign promises to be tough on immigration enforcement. Indeed, his recent executive order on interior enforcement greatly broadened the priorities for enforcement beyond removable noncitizens with criminal convictions to those charged with any criminal offense, who have committed acts that could constitute a chargeable criminal offense, who are subject to any final order of removal, or who, in the judgment of an immigration officer otherwise pose a risk to public safety or national security. Trump Vows to Re-examine Australian Refugee Deal. After a reportedly tense call with Australian Prime Minister Malcolm Turnbull on February 2, President Trump took to Twitter to complain about an Obama administration agreement to accept for resettlement up to 1,250 refugees detained by Australia on the island nation of Nauru and on Manus Island in Papua New Guinea. After calling the deal with the close U.S. ally “dumb,” Trump promised to further study the arrangement. In 2013 Australia banned the resettlement of any refugee who seeks to arrive by boat. Asylum seekers were sent to detention facilities on Nauru and Manus Island, where bad conditions have been widely documented. In a September 2016 deal, the United States agreed to resettle a number of these asylum seekers and Australia committed to taking part in a U.S. program to resettle small numbers of Central American refugees temporarily held in Costa Rica. Trump Pushes Out Acting Attorney General After Her Refusal to Defend Travel Ban. Three days after President Trump signed the travel ban executive order, Acting Attorney General Sally Yates, a holdover from the Obama administration, ordered the Justice Department not to defend the order against the many legal challenges it faced. Yates said she was not convinced that the order was lawful or that defending it was consistent with her responsibilities. Hours later, Trump fired Yates and replaced her with Dana Boente, ensuring Justice Department defense of the executive order. Since then, former Alabama Senator Jeff Sessions has been confirmed as Attorney General. Unaccompanied Children No Longer Subject to “Rocket Docket” in Immigration Courts. On January 31, the Executive Office for Immigration Review (EOIR) released new case processing guidelines that end prioritization of certain unaccompanied child and family removal cases. After the major increase in arrivals of unaccompanied migrant children and families in spring and summer 2014, EOIR changed its guidelines to speed up their removal cases. This “rocket docket” ensured an initial hearing within 21 days—later changed to 90 days—of the initiation of court proceedings for unaccompanied child and family cases. Under the new guidelines, the only unaccompanied child cases that will be prioritized will be those in which the child remains in the custody of the U.S. Department of Health and Human Services, with no plans to be released to a family member or guardian in the United States. Currently there are more than 533,000 cases pending in the immigration court system. Numerous States Consider Anti-Sanctuary City Legislation. After President Trump’s January 25 executive order pledging to withhold federal funding from “sanctuary” jurisdictions that limit cooperation with federal immigration enforcement officials, many state governments have gained legislative momentum in pushing back against such jurisdictions. For example, after the Cincinnati City Council voted to make the city a sanctuary city, two state representatives drafted a bill that would hold city officials in sanctuary jurisdictions accountable for crimes committed by unauthorized immigrants. Virginia is considering a bill that would allow victims of crimes committed by unauthorized immigrants to sue sanctuary jurisdictions. In Mississippi, the state Senate passed a bill that would automatically deem invalid sanctuary policies of counties, cities, colleges, and other entities. There is no standard definition of a sanctuary jurisdiction. Cities, counties, and states have limited their cooperation with federal immigration authorities in a number of ways. The January 25 executive order on interior enforcement threatens to block funding from jurisdictions that prohibit or restrict government entities or officials from sharing information regarding the immigration status of noncitizens with the Department of Homeland Security. Texas Governor Cuts Funding to Sanctuary County. On February 1, Texas Governor Greg Abbott announced he had canceled about $1.5 million in criminal justice grants to Travis County, in response to the county’s sanctuary policies. Travis County Sheriff Sally Hernandez had recently announced that her department would reduce its cooperation with immigration authorities when inmates are flagged for possible removal. Abbott announced the 2017 funding cut the same day the sheriff’s policy went into effect. The Texas Legislature is considering legislation that would punish local governments if their sheriffs fail to cooperate with federal immigration authorities. The bill would fine noncompliant counties or even mandate possible jail time for individual law enforcement officials. The bill has passed the state Senate and awaits House action.